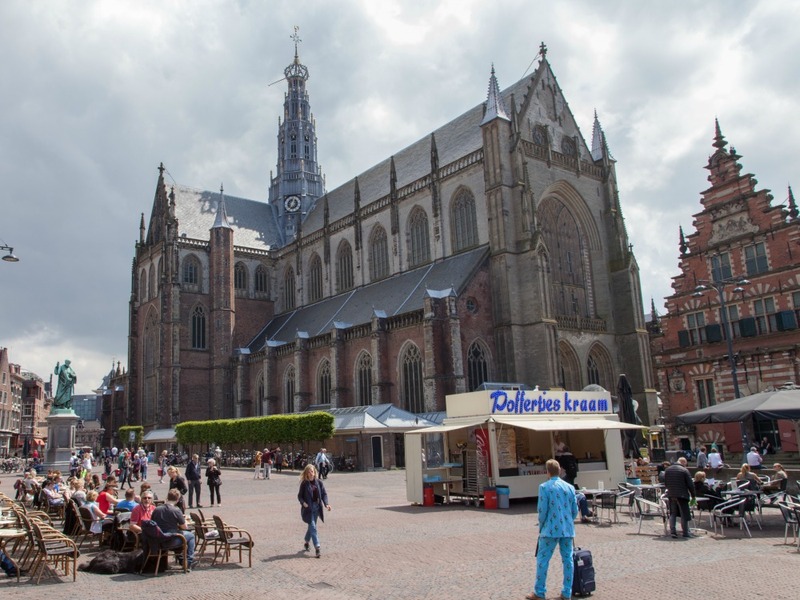 If you could only pick one city to visit in the Netherlands, choose Haarlem. It is the most representative of all Dutch cities. For starters, in Haarlem people speak perfect Dutch. Where every region and city has it's accent and slang, Haarlem has none of that. So here, you can listen what the true Dutch language sounds like. But that's not all. Haarlem has got eveything you expect from a Dutch city. 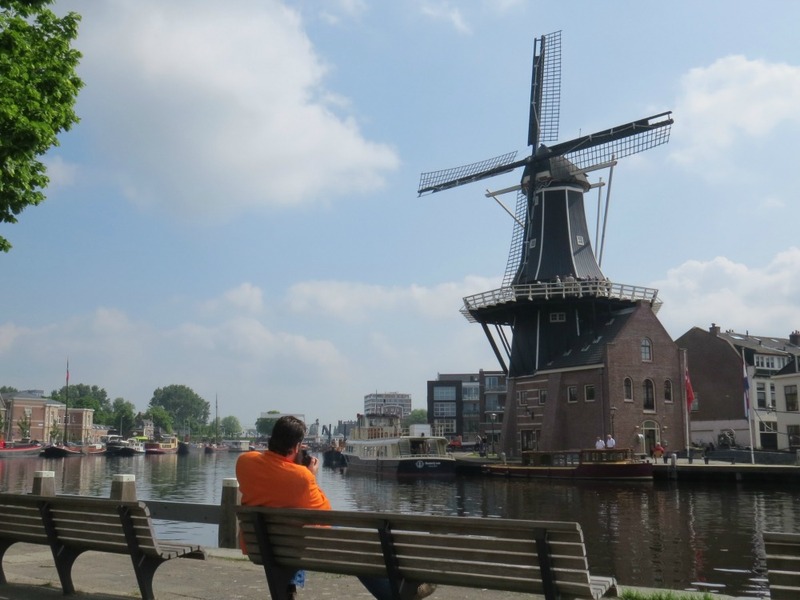 The canals, gabled houses, monuments, and even a windmill in the city. Haarlem also got it's share of Dutch history. With a Spanish siege, the Second World War, and some famous Dutch painters. 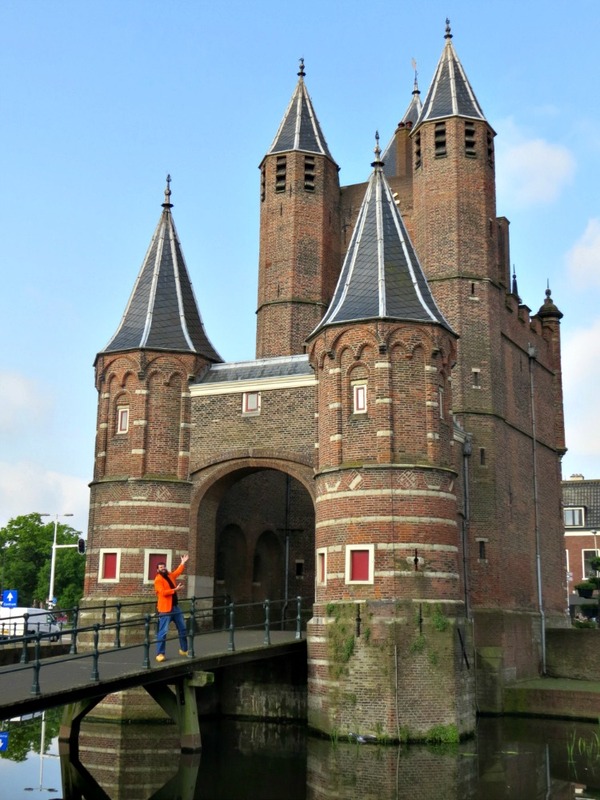 Like many Dutch cities, Haarlem once was a walled city. The first mention of a wall dates from 1274, but nothing is left from that era. Around 1400, the extended city needed to be defended by a new wall. Made from earth, and 7.5 meters high. And surrounded by a moat. The wall had numerous towers, each 80 meters apart. And there were 7 gates to enter the city. The city was extended in 1671 to the North, with a new semi-cicled wall. But during the 19th century the wall and towers were dismantled one by one, having no use anymore. During the Spanish Siege the wall around Haarlem played an important role. On the wall, brave citizens from Haarlem fought against the Spanish army. Among the heroes from that resistance was a brave woman called Kenau Simonsdochter Hasselaer. She led an army of 300 women, who repaired the earthen wall, and who threw burning straw and oil from the wall to the enemy. Today, "Kenau" is still a word in the Dutch dictionary. It's meaning is not very flattery though: it is used to indicate a bitchy, man-like woman. 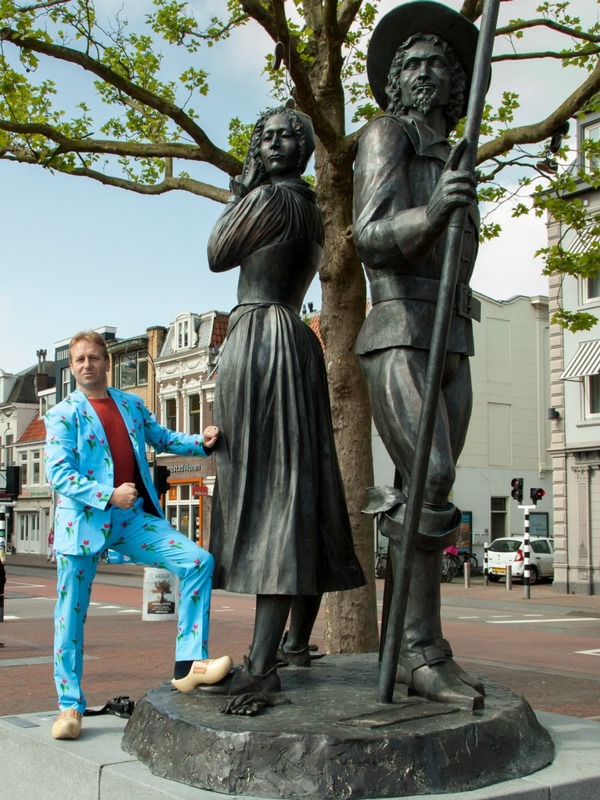 A statue of Kenau together with leader of the resistance Wigbolt Ripperda can be found near the train station. Haarlem also has its resistance heroes from the second world war. Especially Hannie Schaft needs to be mentioned. As a member of the communist resistance, she attacked many Germans, collaborators and traitors. Only a month before the end of the war, she was arrested and executed in the dunes. Based on her story, a book and movie came out, called "The girl with the red hair". Remarkably, a statue of Hannie Schaft can be found in the Kenaupark in Haarlem. 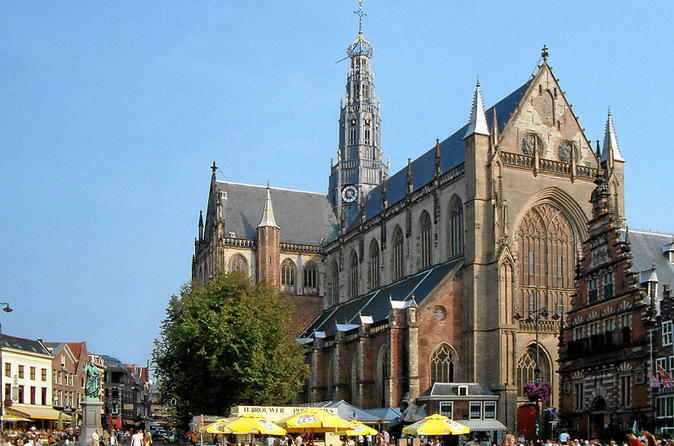 The absolute center of the city of Haarlem is the Grote Markt (Large Market in English). A large square dominated by the St. Bavo church. But the big church is not the only monument on the Grote Markt. Several other buildings are worth a mention, such as the City Hall, the Hoofdwacht (Civil Watch Headquarters), Flesh Hall, Fish Hall, and the Verwey Hall. Each of these monuments has its history and stories. And their architecture is worth admiring. Haarlem was home to one of the famous Dutch Painters of the 17th century: Frans Hals. As most of the painters in that era, Frans Hals mainly painted portraits and groups of civil guards ("schutterijen"). He was poor, and painted these to earn some money. Frans Hals had a unique, lively and coloful style. A lot of his paintings can be seen in the Frans Hals museum in Haarlem. Even if you don't want to visit the museum, we recommend to walk through the street of this museum. It's a great old street with typical gabled houses. 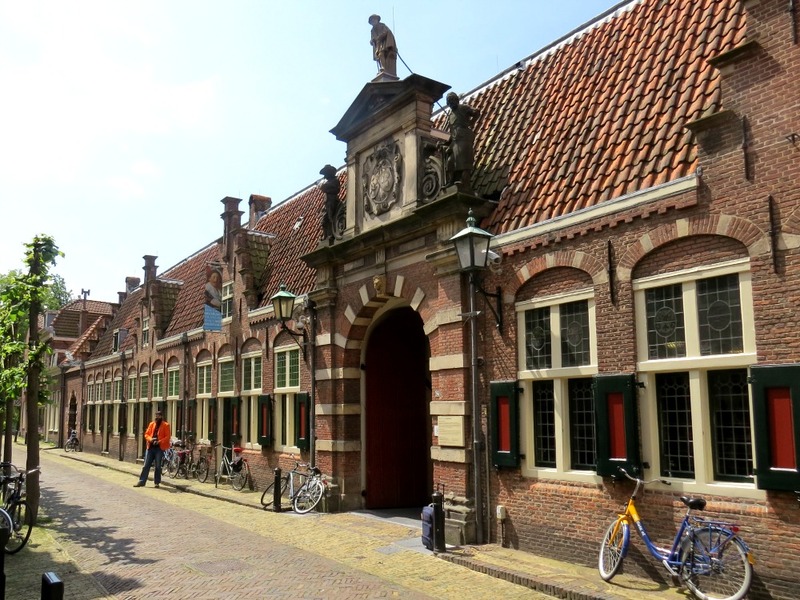 On a walking tour through Haarlem, you should also pay a visit to some of the Hofjes. These little inner courts with small houses functioned as almshouses. Churches, rich families and Guilds created these to house poor people, mostly single women. Nowadays, the remaining hofjes (around 20 of the original 40) are often still inhabited by single women. They are quiet, relaxing places in the city. You can visit them as long as you can behave yourself. Haarlem even has a traditional Dutch Windmill, called Adriaan. Constructed in the late 18th century on the foundations of one of the towers of the city wall. Windmill Adriaan was originally used to grind tufstone. The grounded stone was used in cement to build brick houses. Over the years, the function of the mill changed to produce tobacco, and later grain. It was in use until 1930. Adriaan is a so-called Stellingmolen. That means that the windmill is built on a high "stelling". Most windmills in cities are like that, so they can catch more wind. Adriaan can be visited each day during spring and summer. Have a beer in church! 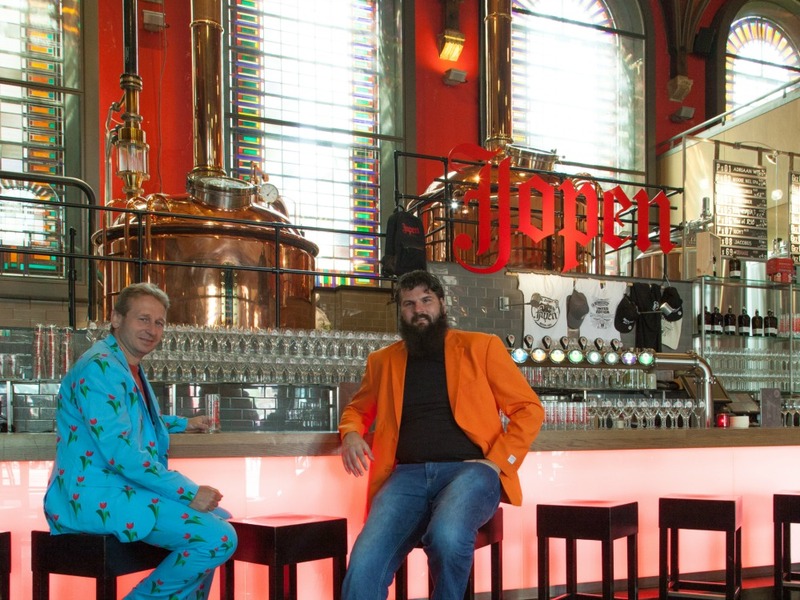 An even more important place to visit, if you ask us, is the Jopen church. This reformed church is sompletely renovated with a beer brewery inside. Haarlem used to be one of the Dutch cities where beer was brewn in the 15th century. Based on old recipes, this traditional beer is now brewn and sold in the Jopen church. Drinking a beer in a church certainly is an experience. There are several kinds of draft beer available, including Adriaan, a nice wheat beer. 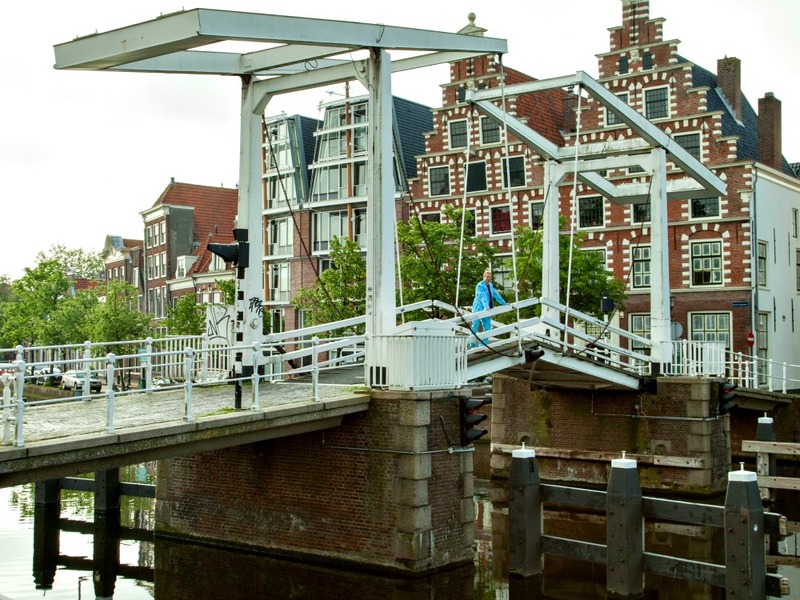 Walk the medieval cobblestone streets and experience Haarlem. During this tour you will visit the 16th and 7th century houses, The Saint Bavo church, the little courtyards or hofjes and much more. The friendly tour guide will adjust to your desired pace and preferences.